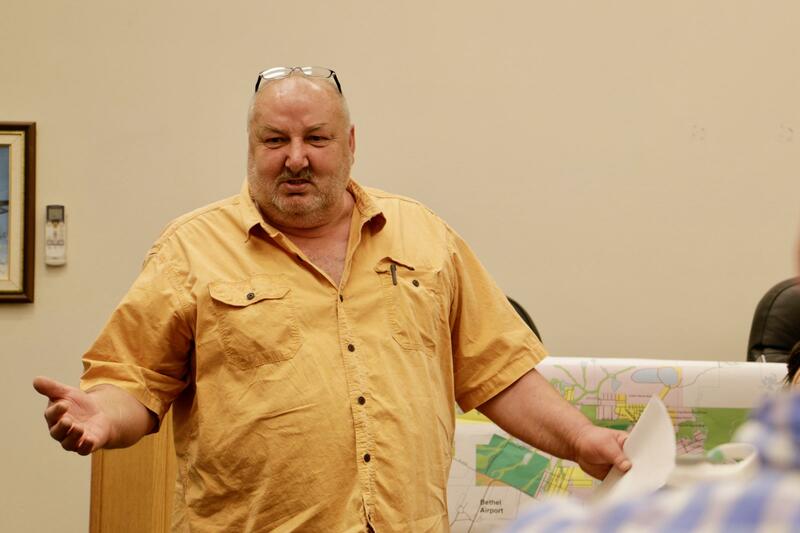 The Alcoholic Beverage Control Board awarded Cezary Maczynski Bethel’s third and final package store liquor license on Monday, but the opening date for Kusko Liquor may be months away. The board decided between three applications for the license: Maczynski’s, Alaska Commercial Company and Tundra Liquor Cache. “We have a motion to approve 5533 package store license application. Anyone opposed? Seeing and hearing none… motion is granted,” Bob Klein, ABC Board Chair, said. With that, Klein wrapped up a quick vote of the board after considering all the evidence before them. During the meeting the board considered three applications and rejected those for Alaska Commercial Company’s second liquor store and Steve Chung’s Tundra Liquor Cache. The city protested both applications after Bethel residents and the City Planning Commission raised concerns that focused mainly on safety. Aaron Sperbeck, a legal representative with AC’s parent company, said that AC was prepared to add more safety protocols. Bethel City Attorney Patty Burly spoke on behalf of the City at the ABC meeting. She says that for the City of Bethel it was too little too late, and that the city had concerns about bringing those safety issues to another neighborhood. “So Bethel said, ‘You’re not it. You’re not the responsible steward,’ and they upheld their protest,” Burly said. Maczynski tentatively plans to open Kusko Liquor in either the spring or summer of 2018. The shop will be on the riverfront where Cezary’s Auto Body and Paint is located.